An Action RPG with semi-procedurally generated story and a metroidvania feel. The player needs to solve the new world's conflicts in order to achieve peace along the wasteland. Alpha funding now running on Google Play! Get it while it's hot! Desura alpha fund coming soon! Yes, as you can guess, i've had KeeYA on hold for quite some time now. Why? do you ask me... Well, as a game developer, you must work on games that you can enjoy and give you enough fun that you would say "Hey! someone would like this too!"... Turns out after couple of months of development, i've felt the game has gone in the wrong direction and the engine that i'm using (LibGDX) doesn't help to ease the pain (don't get me wrong, LibGDX is a GREAT library and would totally use it on another project on a later date). So, is with this in mind that i'm putting KeeYA on an indefinite hold, so i can focus on other games that are more fun and give me less drudgery to deal with. Also, as a sidenote, i've had a blast with my new family member (had a baby on August 20, my birthday :-D) and he has been keeping me away from the computer more often than not. 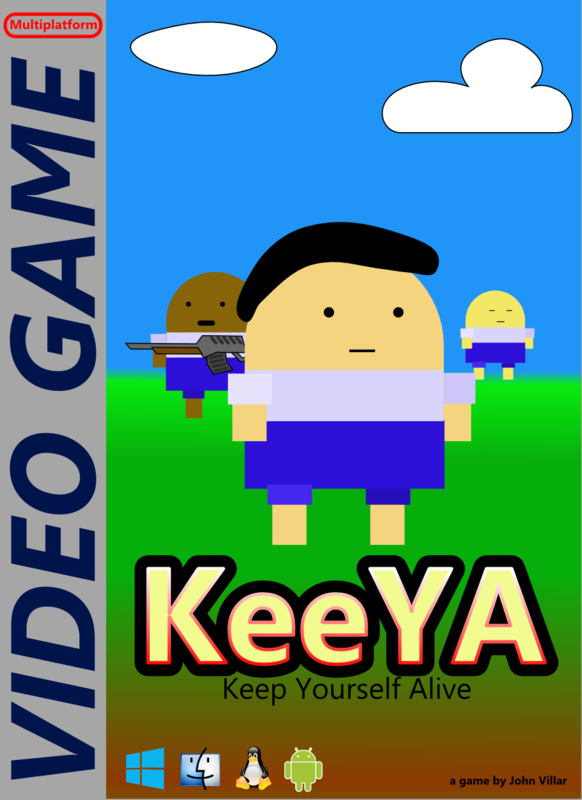 Just published KeeYA's Alpha Funding app on Google Play. It seems KeeYA is going to have OUYA support! Got my OUYA email notifying me that the little box is on its way. This week i tackled animations, actuators, inventory stacking and the new icon. Check it out. In these demo we leave the guns aside and work in the scenarios needed for the game. This new version includes dialogues supports and trading between the player and NPCs. This week was implemented the Android version of KeeYA. Download and install, give feedback on stability and smoothness. Added text, transitions (walk leftward to enter the dungeon). Activate the red button when falling down the shaft pressing "up" when touching the button. Edit: NVM not for PSP please remove it from the PSP catagory! Sorry, i tought that was to announce future PSP availability, getting rid of the "not current" tags right now... thanks for pointing it out and sorry for the misleading tag.